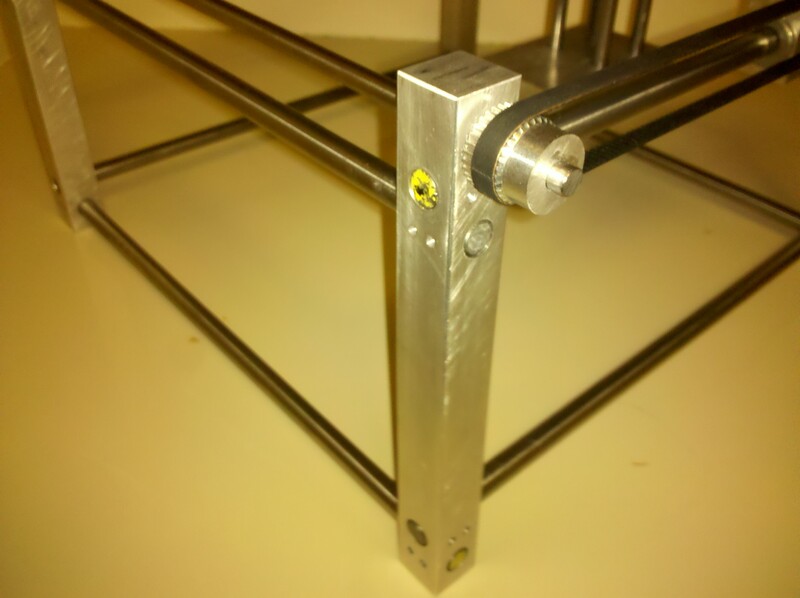 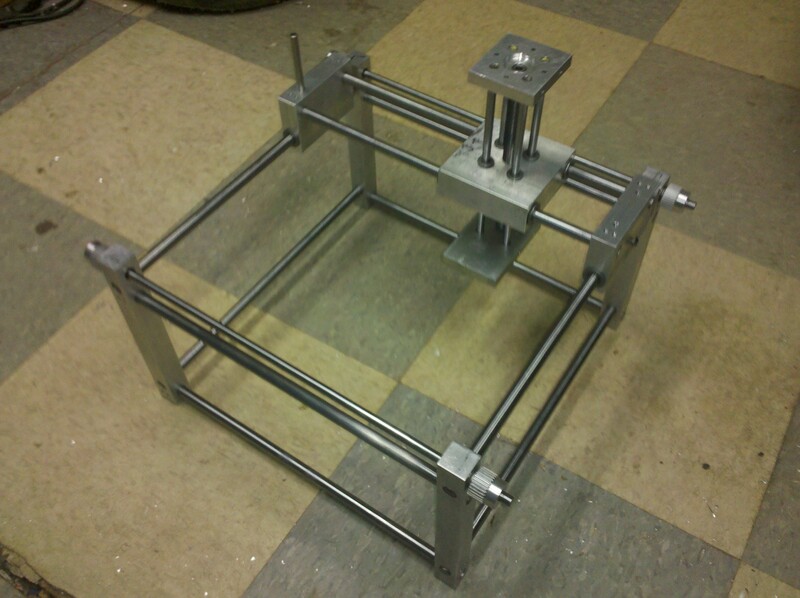 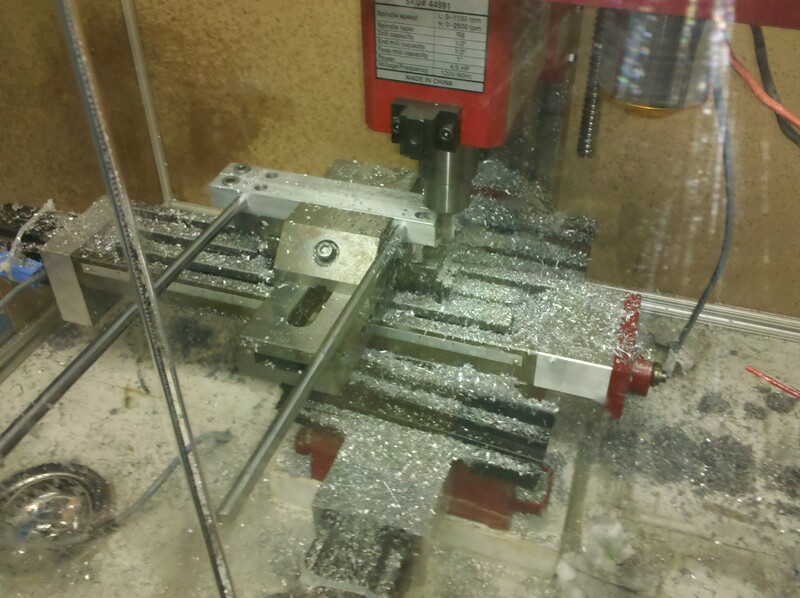 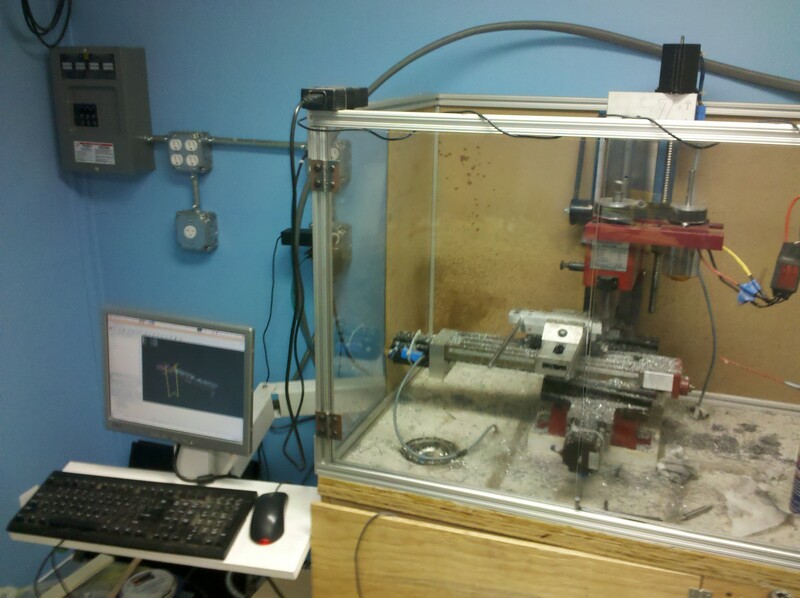 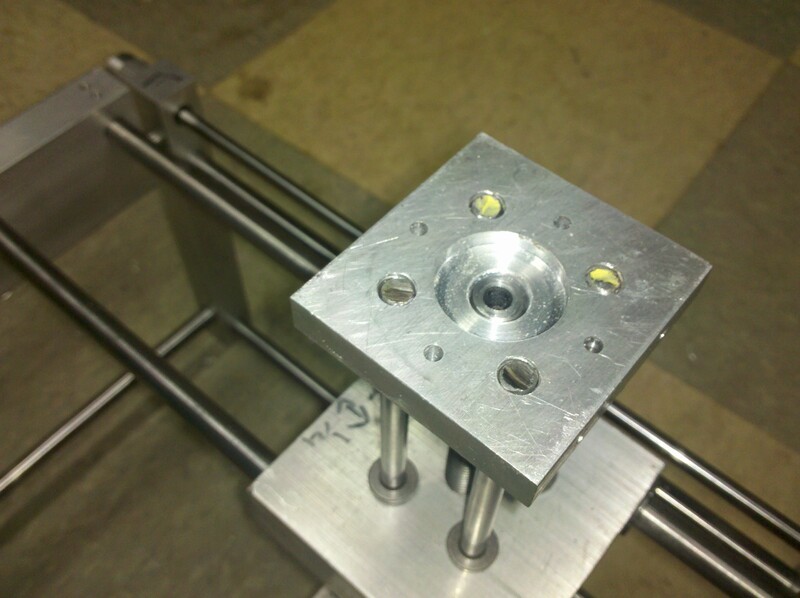 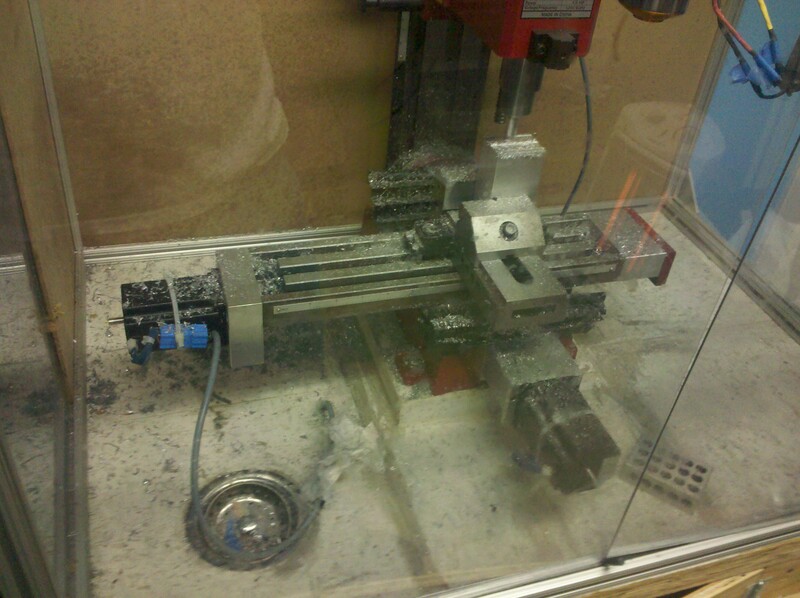 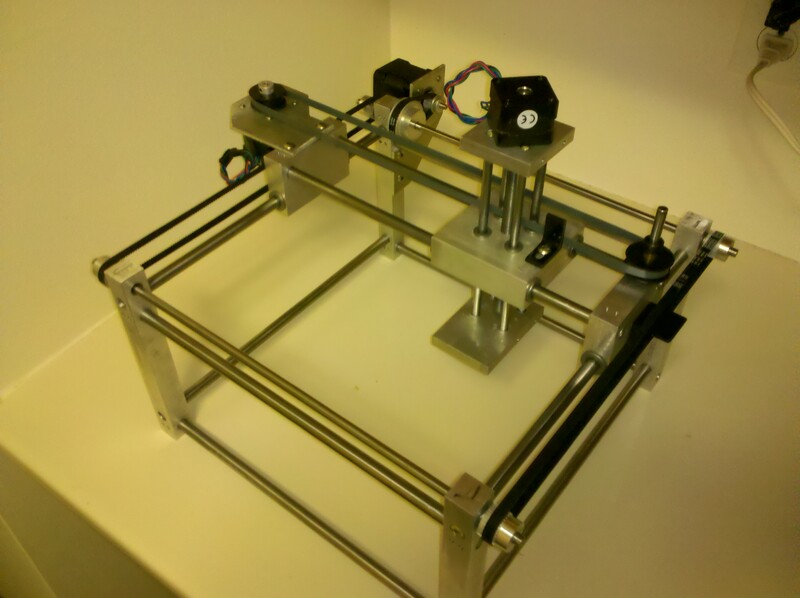 Here are some pictures of the rapid prototyping machine assembled as well as some pictures of the machining process. 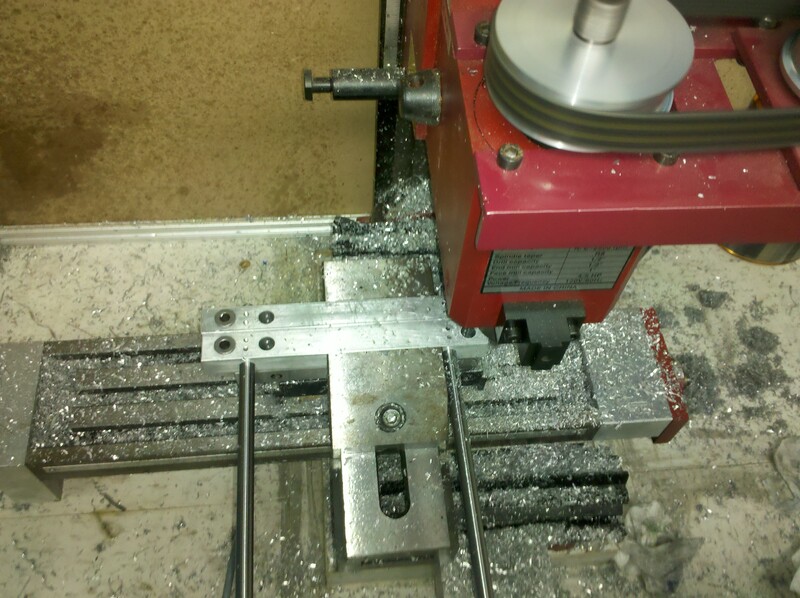 All of this was done on a CNC Sieg X2 milling machine(the large enclosed red machine). 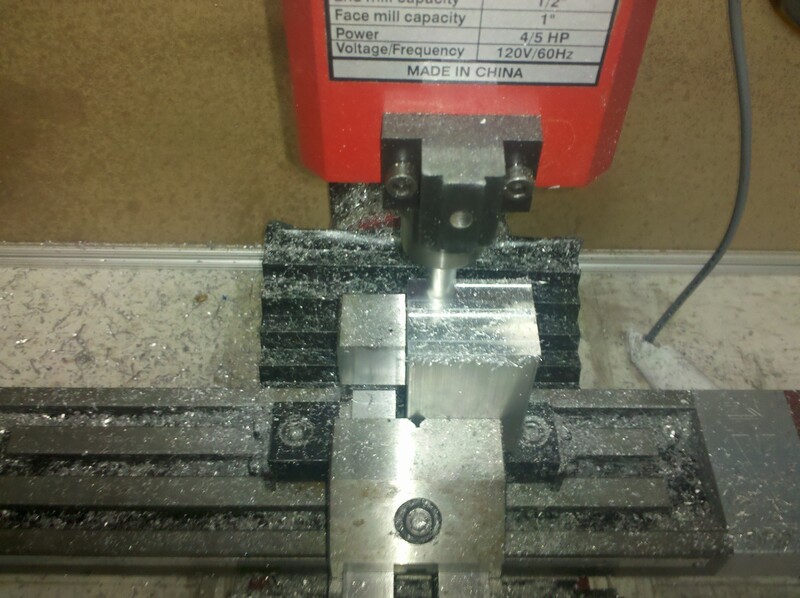 I did the CNC conversion on that so this project is fairly straightforward.